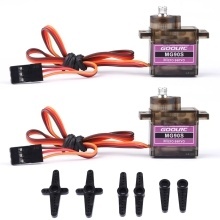 These RC Aircraft Power Set are designed for RC Fixed Wing Airplane Multirotor Aircraft DIY. With terrific quality and high performance, it can totally meet the needs of the GoolRC racers. The best choice for your RC Fixed Wing Airplane, what are you waiting for, take it with you right now.